PrinsBank offers operating, livestock and equipment loans to farmers. Need a Farm Real Estate loan? We can help you with that as well. Let us use our agricultural knowledge and experience to help you succeed. PrinsBank has a firm commitment to serving the unique needs of crop farmers, livestock producers, and other Ag related services. 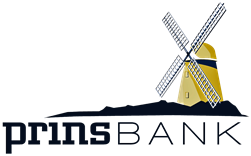 PrinsBank offers solutions based on knowledge, experience, and trust.